Game of Thrones has won the Hugo Award for Best Dramatic Presentation (Long-Form) at the Hugo Awards, given out in Chicago last night. 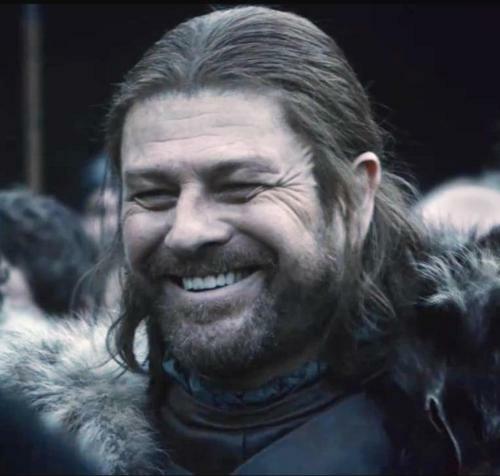 Ned Stark approves of this news. Other winners include the Doctor Who episode The Doctor's Wife, written by Neil Gaiman, for Best Dramatic Presentation (Short-Form); John Picacio for Best Professional Artist; Betsy Wollheim for Best Editor (Long-Form); and The Encyclopedia of Science-Fiction, Third Edition for Best Related Work. The Best Novel category was the toughest in some years, with George R.R. Martin's A Dance with Dragons duking it out with James S.A. Corey's Leviathan Wakes, Mira Grant's Deadline and China Mieville's Embassytown. However, Jo Walton's Among Others eventually took home the prize. Almost 2,000 people voted in the awards, slightly down on last year's 2,100, but considerably higher than the traditional 500-1,000 of previous years. Whilst questions remain over whether such a small number votes should determine the award (which continues to claim to be the most prestigious and important in the SF field), this increase in numbers is good news. Next year's Worldcon will be held in San Antonio, Texas, and the one after in London.